Today, April 30, 3012. The Department Of Tourism has launched its first official commercial for the “It’s More Fun in the Philippines” campaign on CNN. 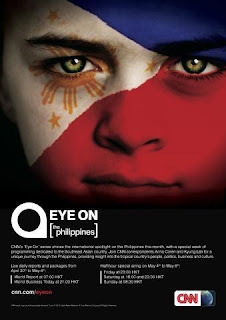 And this Month, CNN's Eye On will feature the Philippines. Rap by Pinoy Black-Eyed Peas member Apl.de.Ap in the tune of disco house song 'Barbra Streisand' by Duck Sauce. And blends to a collection of photos and videos showing why it's really more fun in the Philippines. 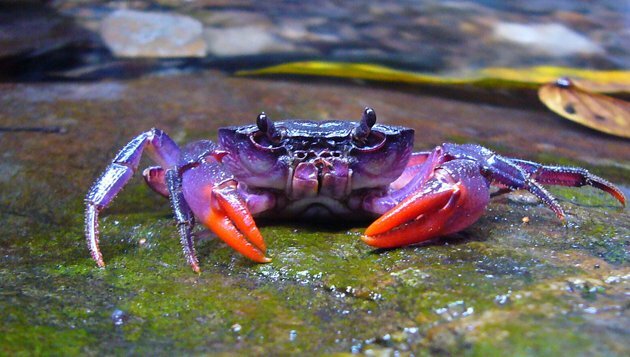 Near the Philippine island of Palawan, Four new species of crab that romp through some wild colors have been discovered. Anne Curtis-Smith and Francis Libiran were featured on the latest episode of former supermodel Tyra Banks' America's Next Top Model. The episode will be telecasted in the US on April 25 and in the Philippines, on April 30, 2012. Francis Libiran is the third Pinoy designer to be spotlighted in the Tyra Banks produced hit reality television show following designers Michael Cinco and Oliver Tolentino. CNN "Eye On" accompanies you to different countries around the world, exploring what you didn't know about the region. Through interviews and in-depth coverage, get an up-close view of the country in an international framework. This Month, CNN's Eye On will feature the Philippines with a special week of mapping out dedicated to the Southeast Asian country. The first ever Skate Boarding Event in the Philippines. Presented by Converse, last March 31 2012 held at the Trinoma Mindanao Parking, Quezon City.